Knight Graphics was established in 2005 and offers professional photographic, giclée, canvas printing, laser printing and mounting and laminating. We’re based in Sowerby Bridge, just outside Halifax in West Yorkshire, and pride ourselves on offering a friendly, personal service – making your image our business. Printing, binding, envelopes and cello bags – we’ve got it all covered! 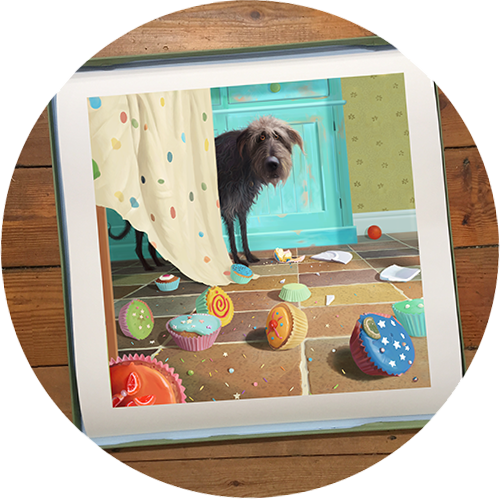 Giclée printing is a mainstay of our business. 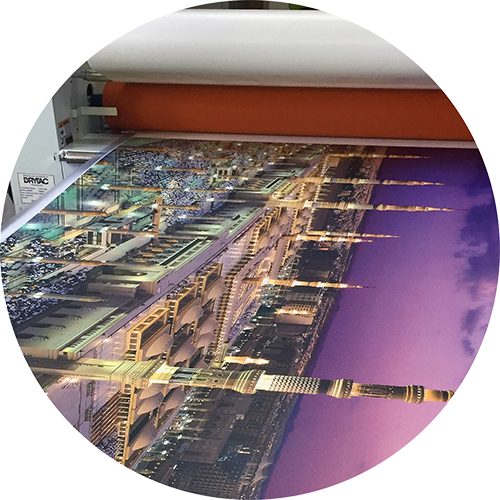 A fine-art digital printing process, it’s ideal for large and small print runs. We print using an Epson 9890 with Genuine Epson Ultrachrome K3 inks, to achieve a print of superior archival quality, light fastness and stability. 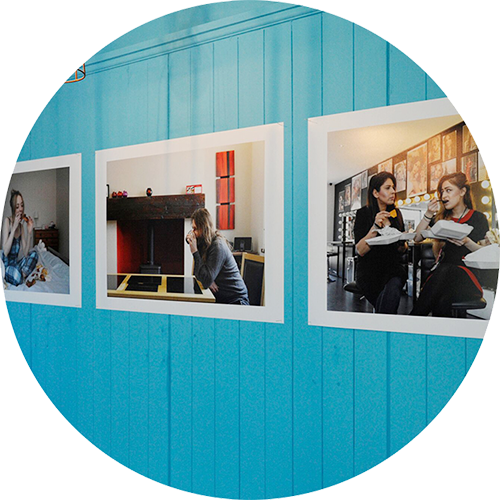 Our photographic prints are produced on Fujifilm professional papers, including satin and gloss finishes. Archival K3 inks mean fantastic images. You’re welcome to view your image on our screen to check the colours and discuss your requirements. Perfect for the home or office, we will turn your image into a work of art. 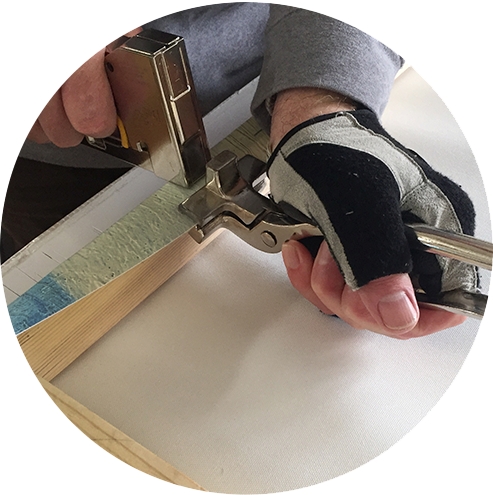 You can choose to have your canvas stretched on to 1” or 2” wood, before it is given a coat of satin varnish to enhance and protect your image, and supplied ready to hang. Knight Graphics offers colour and mono laser printing on a variety of paper and card, ideal for businesses and personal projects. 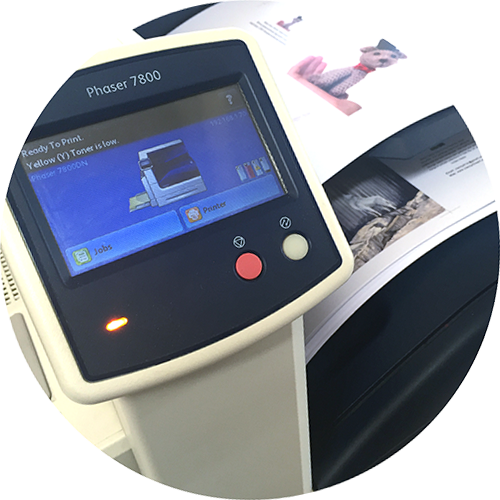 From business cards and flyers to calendars and greetings cards, we can print from CD, memory stick or email. 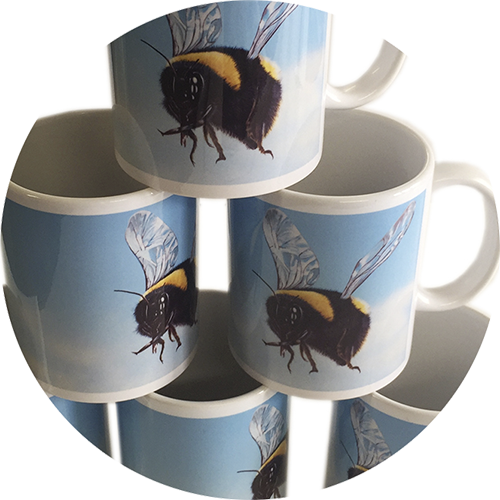 Our dye sublimation service offers jigsaws, mugs, phone cases, photo slates, cushions, bags and more. You can call in to our Sowerby Bridge office any time to see samples of our dye sublimation process and how it can work for you. Roller banner stands are an eye-catching, cost-effective way of promoting your business. 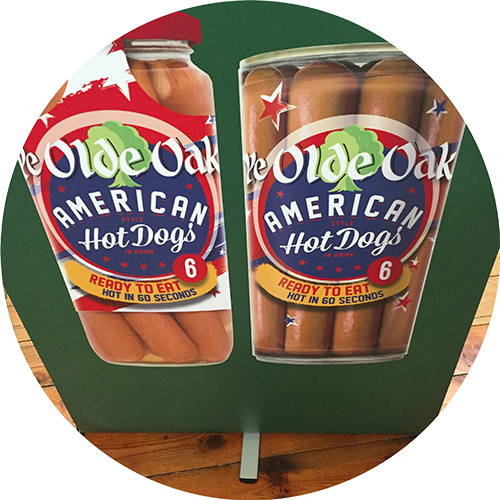 They offer quick and easy assembly, and feature the ability to rapidly change graphics. There is a choice of widths and double-sided graphic options on selected systems. This service offers a modern-looking alternative to traditional framing, and eliminates the need for expensive glass. 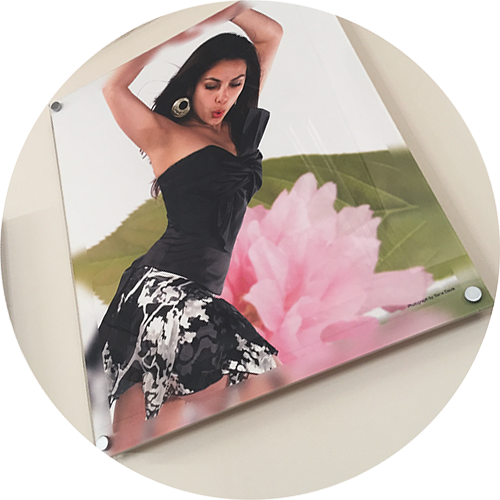 We cover your image with a matt or gloss laminate, protecting it from moisture and UV, and mount it onto PVC foamex or MDF. These modern, clear frames are very popular for displaying artwork, as they do not distract the eye from the image. Supports are attached to the wall which hold a sandwich of two acrylic panels together, allowing the graphic to be easily changed.